by Enneagram Portland: Dale Rhodes, M.S., M.A. Many folks want to be in a community of folks who talk type, and this one will feel like a seminar elective! You'll get a solid, interdisciplinary educational course with a group of locals who are exploring how this system can support communication, relationships, professional growth and spiritual development. Facilitated by an experienced certified trainer in the system. 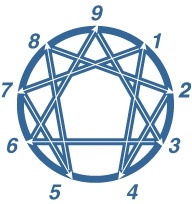 Self Study: Everyone will receive *ample* study materials and a copy of The Essential Enneagram, which includes an assessment tool ($15 retail). We will focus on the instincts, head/heart/gut triads, basic propositions of the types to the challenges, talents, instincts, intuitions, virtues and higher states that are accessible to us all.